June 29, 2017: Speed test global leader, Ookla, has rated the Tata Docomo Wi-Fi at Delhi’s Indira Gandhi International (IGI) airport as the fourth fastest amongst the top ten airports in Asia. Ookla, using speed test data for the period from March-May 2017, analyzed the speeds of free airport Wi-Fi. Tata Docomo’s Free Wi-Fi at Delhi’s Indira Gandhi International Airport (IGI) with an average DL speed of 15.95 Mbps is rated as the fourth fastest ahead of Singapore’s Changi Airport, Bangkok’s Suvarnabhoomi Airport and Hong Kong International Airport. The first three ranks have gone to Dubai International, Seoul’s Incheon International and Tokyo Haneda Airport. 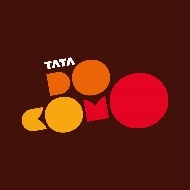 Supported by the company’s wholly-owned national fiber backbone, Tata Docomo is India’s leading provider of Wi-Fi services, delivering complete Wi-Fi connectivity to a number of public spaces, commercial premises including country’s leading hotels, premium retail café chains and India’s top airports. Tata DoCoMo’s Wi-Fi provisioning has also assisted in connecting some of India’s most emblematic public spaces. In addition to infrastructure, Tata Docomo delivers support services, security and a range of revenue models and value-added services to support these Wi-Fi zones. TTL is one of the most preferred and relied upon data service provider through its integrated data services and is one of the fastest growing players, in the data market across small screen as well as large screen. Additionally, TTL commands a market leadership in the large screen data space with its Tata Photon family of 3G and Wi-Fi products. In non-voice services the company through its wide range of pioneering offerings such as e-Governance, Machine to Machine (M2M) and m-Remittance (m-Rupee) services has helped to improve citizen services, public safety and governance. TTL is a growing market leader in the Enterprise space and provides end to end integrated Voice, Data and Managed solutions to Large and Small Medium Enterprises through its wider network footprint, better operational structure and enhanced customer service support to deliver incremental value. TTL has a robust and largest fibre optic backbone backhaul network running across 1,00,000 km and with a 25,000 km access network covering key cities which is a huge differentiator in providing seamless data services. With 2000 people TTL’s strong enterprise business is present in more than 60 cities across India, works with over 750 partners and over 1600 channel teams.